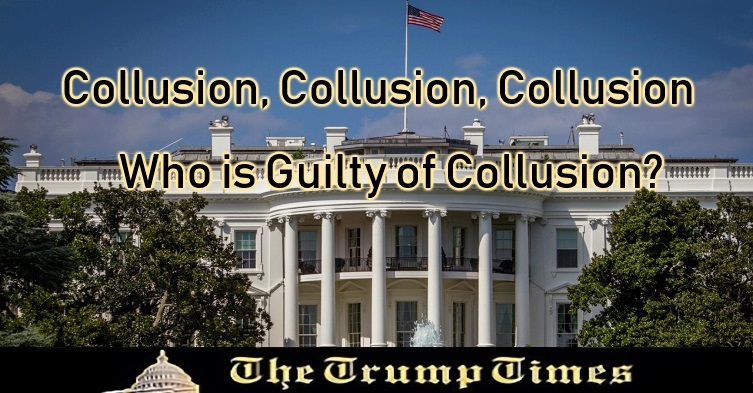 Over a year and millions of taxpayer dollars wasted to find collusion between members of the Trump 2016 Presidential campaign team and the Russians has led NOWHERE. However, there is one candidate who bragged about colluding with foreign leaders during the presidential election cycle, and this confession has somehow been overlooked. Who could this possibly be, you ask? Well, I’ll give you three chances to guess, but I’m sure you’ll only need one… the Democrat presidential candidate Hillary Clinton; surprise, surprise. While trying to lock in the nomination against Sen. Bernie Sanders at a Democrat Town Hall in Columbus, Ohio on March 13, 2016, then-candidate Clinton, decided it was time to use her past experience and connections as a reason why she would be ready to step into the Oval Office as the next president. During the Town Hall, a member of the audience named Amit Majmudar asked both candidates which one believed they had the best chance to defeat Donald Trump, the Republican candidate for president. He said he and his family were “a little uncomfortable here, and frankly, a little bit scared,” of the Republican candidate. Of course, wanting to tout her vast experience in world politics, Clinton wasted no time tooting her own horn and her ongoing relationship with foreign powers as the main reason. She then went on to brag about the Italian Prime Minister, who had already endorsed her publicly. But then her answer got more sinister. So, do you believe she was being factual about other world leaders hoping for her victory over Donald Trump? Or do you believe she was merely doing what she always does, being less than honest in her response? If she actually had several foreign governments offering help for her victory in the 2016 presidential election was it not the right of the American voter to know? Maybe it’s time for special counsel Robert Mueller to take a look at this case of collusion.? After all, it was freely admitted and is on video in her own words. However, I highly doubt she will face questions over this, but who knows, stranger things have happened. Please leave your thoughts on this in the comments section below. Linda L Barton is a proud Patriot Warrior and supporter of President Donald Trump. She is a non-apologetic flag waving, gun owning, lover of free speech, and believer in our God-given rights and freedoms. She is not afraid to speak her mind, which often lands her in hot water with the weak-kneed, Snowflake cry-babies on the left. Linda is an International Bestselling Author and Founder of Deadly Reads. She is also the Editor in Chief of the Trump Times International and writer/editor for The Trump Times. You can also find her on Mumblit and Gab. Google tells James Demore "YOU'RE FIRED!"